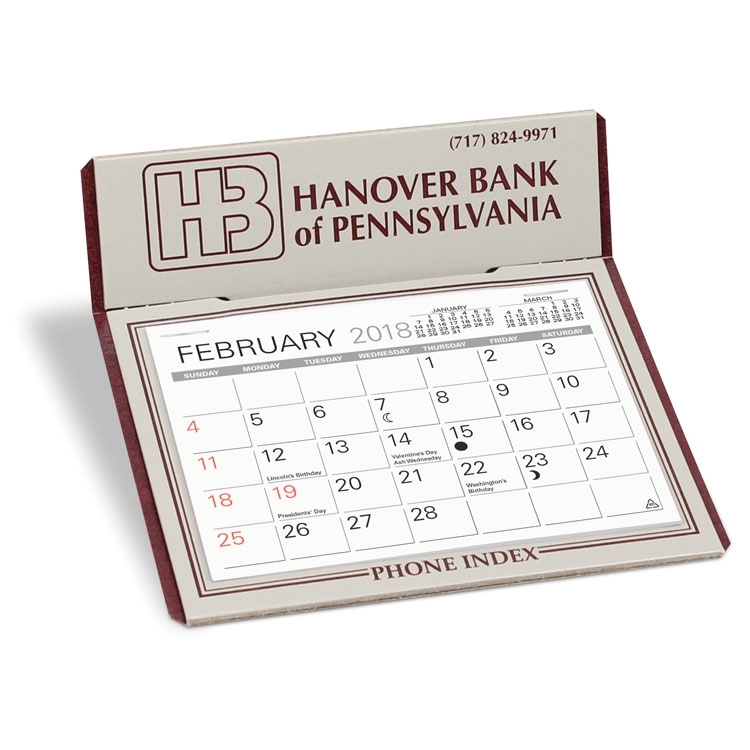 The Graystone Desk Calendar offers an ink imprint and a 4 3/8” x 3 1/4” memo style 13 month date and full year calendar printed on the back. Standard in gray w/maroon trim and maroon imprint or gray w/gray trim and blue imprint. See "Options" for other than standard imprint colors. Free mailing envelopes are included, not inserted. No set-up charges for one color imprint. PMS color match $49.00 (d) per color. NOTE: Product color will affect the imprint color.